He’s looking heavenwards because he forgot to drop his britches. As the title states. I could not resist this when I visited Caerphilly Castle recently. 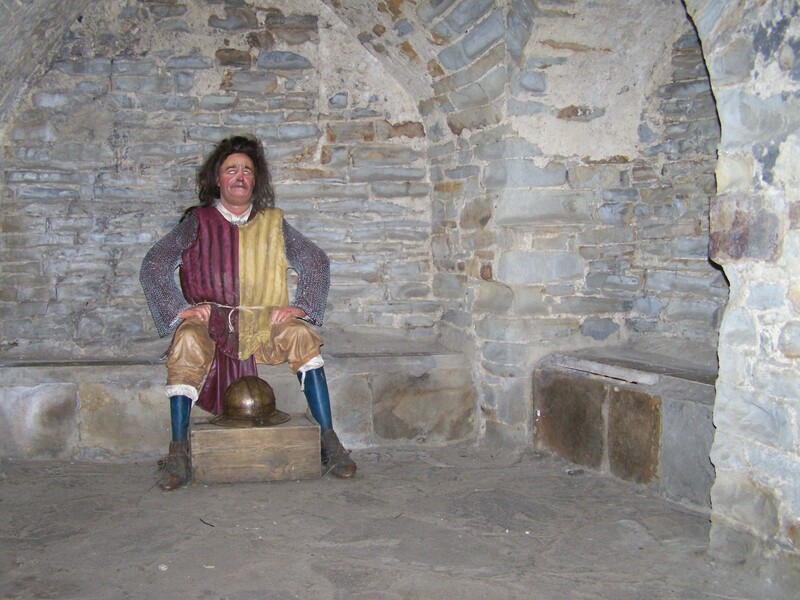 The guidebook says this is the communal lavatory for the garrison in the thirteenth century. The sound effects were horrendous! Guaranteed to bring a smile to even the most miserable visitor. Don’t ask what the ball is between his shins! This is hysterical and that ball leaves way too many weird suggestions in my mind. Good one. I was in the Royal Navy and I can assure you I wouldn’t have wanted that on my ship! Can’t hardly blame you, Phil – NOT with what I was thinking!